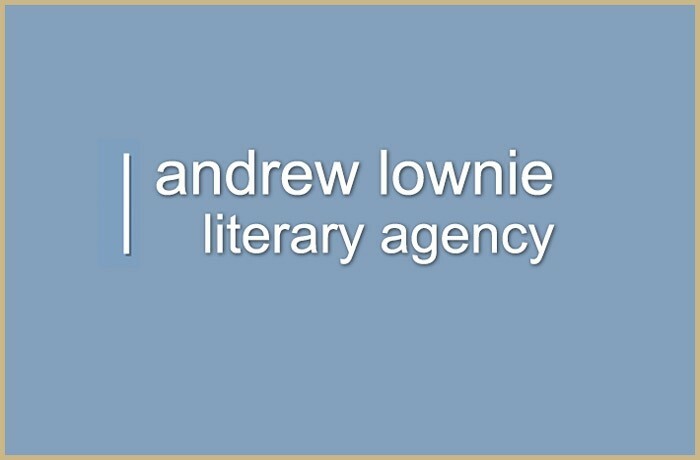 Andrew Lownie is the founder of The Andrew Lownie Literary Agency Ltd. Established in 1988, it has steadily grown into one of the UK’s leading literary agencies. All authors are personally handled by Andrew or his fiction colleague David Haviland. This hands-on approach enables Andrew to build a long-term career path with each author, many of whom have been with the agency from the start. Andrew Lownie began his own career in publishing as a graduate trainee at Hodder & Stoughton. However it was while he was President of the Union at Magdalene College, Cambridge, that Andrew’s path took another direction. At a John le Carré talk, Andrew met his literary agent who happened to be looking for a junior agent at the time. So in 1985 at just 23-years-old, Andrew Lownie joined John Farquharson Ltd as the youngest literary agent in the business. Such was his natural talent for the vocation, that only a year later he was appointed as a director for the agency, the youngest in British publishing. Two years later he founded his own literary agency, followed ten years later by The Biographers Club. Both ventures have proved to be considerably successful and have established Andrew Lownie as a premier literary agent for non-fiction authors. When you studied at the prestigious Faculty of History at Cambridge did the course substantiate an earlier love for non-fiction? And did access to the extensive quality of literature within The Seeley library set the barometer on what you subsequently demanded from your reads? History was a useful intellectual discipline as it trained me to assimilate information and construct arguments and further stimulated an existing love of history and biography though, I fear, I have spent more time in the Seeley since I left than when I was at Cambridge. When I started as an agent, it seemed that one of my USPs was my knowledge of and interest in history. There were plenty of excellent editors and agents specializing in fiction but in the 1980s fewer agents with a specialist knowledge of history. Over the last twenty five years the balance of my list has become less focused on history – though I still represent over eighty historians - and many more agents have developed strong history lists. You became director of John Farquharson Ltd at an age when most are only starting their internship at an agency. What benefits do you believe a more youthful approach has to running an agency? And what misfortunes, if any, were you able to eradicate by the time you opened your own agency at just twenty-six-years-old? I was very lucky to be offered a job as an agent within a year of leaving university, especially as in the mid 1980s most agents had already served long apprenticeships in publishing. I think the aim was to bring in younger writers of my generation and build for the future and there were three other young agents with me – all of whom have gone on to leave publishing and be successful writers – John Lawton; Imogen Parker and Helen Stevenson. Starting my own agency at twenty-six was rather rash and fool hardy as I hadn’t really had sufficient experience nor built up contacts and it required a steep learning curve but I had lots of energy. When Curtis Brown absorbed John Farquharson into their own agency, did you have to renegotiate contracts with your own clients to secure them to The Andrew Lownie Literary Agency? Were you ever tempted to lower your commission at the time to attract potential clients away from the other competitors? When I left John Farquharson/Curtis Brown, they were very decent. Clearly existing Farquharson clients that I had inherited, such as George Macdonald Fraser and Robin Knox-Johnston, remained with the agency but on those I had brought in we split commission on books already sold, which helped me survive for the first few years, and all subsequent books went through the Andrew Lownie Literary Agency. I’ve never knowingly poached authors and am not convinced, in any case, that authors make their decisions based on commission rates. I was one of the first agents twenty years ago to move to 15% home commission and lost only one author. Now 15% home and 20% abroad is standard but the fact that I only charge 15% worldwide and am therefore 5% less than all most other agents on US and translation doesn’t seem to have helped me! Your agency opened its doors to non-fiction writers before the internet had been invented. Did this in itself create an additional workload in fact-checking the manuscripts of new clients? Has the internet age now alleviated this research? Or has access to the multitude of contradictory information online made it even harder to distinguish fact from fiction? Due diligence on submissions has always taken time but the internet has made checking much easier and pinging submissions for a reader’s report has made response times quicker and allowed me to use excellent readers, such as Genna Gifford in Australia. With non-fiction submissions needing to be very specific about their marketing potential, does this invariably create a pattern of writers using the same buzzwords to sell their work? Does this then push your decision to accept more towards those with a clearer demonstration of expertise in the subject matter? The marketing section in my requested proposal format requires measurable data on website hits, circulation figures, Twitter followers and membership numbers so no need for buzzwords. Authority and credibility have always been important factors but ‘platform’ or ‘profile’ is now crucial not least when selling abroad. It reflects the fact that publishing decisions are generally marketing rather than editorially led these days. At the agency has there ever been a case of the events portrayed in the non-fiction book of a client inspiring a fictional account in the book of one of your fiction clients? Or has a fictional release instigated a non-fiction author to investigate the events for a future manuscript? If not, how would feel about handling what could be a precarious relationship between the two clients in the jurisdiction of story authorship? I’ve not had this particular scenario but I’m sure it could have been managed to ensure each helped the other. When you established The Biographers' Club and its accompanying Prize were you confident of its lasting legacy in the genre? And what plans would you like to incorporate to secure its future in the industry? The Biographers Club began as an informal gathering of long-minded biographers and grew gradually generally by word of mouth as I’m a great believer in letting organisations evolve naturally. It’s is gratifying that it is still going fifteen years later and that other organisations have created their own prizes and networking links. I ran it alone for over a decade but I’m now simply a figurehead Life President and leave the committee to run as they wish, as it’s important it shouldn’t be one person’s fiefdom. I hope it carries on as it fulfils a useful function as a voice for biography both within the publishing industry and to a wider public. I’ve always felt it should be a club for published rather than simply aspiring biographers, but with outreach programs to help the aspiring biographer, but also for editors, agents, academics, librarians and producers connected with biographer and I hope that continues. You once stated that a writer chose your agency because it was near to Victoria station. Do you feel London based literary agencies can sustain their pulling power for prospective clients? Or will the digital age change the publishing landscape with the emergence of online literary agencies who do not operate out of a physical office? What drawbacks to this scenario do you envisage? There are plenty of good and successful agencies outside London but I personally feel it’s important to be seen to be in Central London. Most of my work is on the phone and on e mail but I still have meetings with authors and UK and foreign publishers every single day and am often at launches or talks in the evening so it makes it much more practical to be in London and not to have to commute in. Submissions come from 126 countries and I sell directly to the US so I see myself as very much an international agency. Have rejections from publishers had any influence on how you word your own rejections to writers? Does your inherent belief in your client's work cause you to persist in its submission to publishers? At what juncture do you discuss a change of tact with the author in question? As an agent, one gets used to rejection and I know how one shouldn’t take it personally but one does need to constantly remember that authors are not so used to it and one has to be sensitive. I think it’s important that authors see rejections as there are often points to be learned and it shows proposals are being circulated. I am quite persistent where I’m very confident of the quality of the material and the potential of the market – two recent successful books Daniel Tammet’s Born on a Blue Day and Marina Chapman’s The Girl with No Name took years to sell - because much of agenting is down to luck and timing but clearly the proposal is reworked in the light of responses. Sometimes it needs a deal abroad or on television to kick start interest so one has to be flexible. For those writers still undecided on whether to predominately focus on fiction, or non-fiction, what do you believe are the advantages of pursuing a career as a non-fiction author in the publishing world of today? Non-fiction is easier to sell and market but the rewards may be more limited than fiction with its strong backlist and international appeal but every author has, however, to write what they want. David Haviland is developing a fiction list within the agency to help broaden the service the agency can offer. How should writers contact you with their submissions? Are there any particular books you are looking for right now? I prefer e mail submissions because easier to circulate to readers and editors and it will be on the written submission rather than an oral pitch that the book is sold. Inspirational and celebrity memoir is doing well at the moment but the list is very wide-ranging and always looking for anything which says something fresh and important in a well-written way.